Stephanie Mills first came to fame as "the little girl with the big voice" as the star of the hit Broadway play, The Wiz, an adaptation of L. Frank Baum's classic book, The Wizard Of Oz. She had many R&B hits such as "I Have Learned to Respect the Power of Love," "I Feel Good All Over," "(You're Puttin') A Rush On Me," "Something in the Way (You Make Me Feel)" and "Home" along with one certified million selling single, "Never Knew Love Like This Before." In addition, she also had five gold albums: Whatcha Gonna Do With My Lovin', Sweet Sensation, Stephanie, If I Were Your Woman and Home. Mills honed her rich vocals singing gospel music at Brooklyn's Cornerstone Baptist Church as a small child. At age 9, she began appearing in the Broadway play Maggie Flynn. She was presented with first prize after winning "The Amateur Hour" talent contest six weeks straight at New York's famed Apollo Theater when she was nine. That success led to her being chosen as the opening act for The Isley Brothers, eventually becoming good friends with lead singer Ronald Isley. Many years later, Isley would manage and later marry singer/songwriter Angela Winbush, who co-wrote one of her number one R&B hits. Mills' d?but album, Movin' In The Right Direction was recorded for ABC Records in 1974. A year later, she won the role of Dorothy in The Wiz. Her rendition of the beautiful ballad "Home" was a showstopper, mesmerizing audiences nightly for a number of years. The original cast recording of The Wiz was produced by Jerry Wexler and issued by Atlantic Records in spring 1975. Curiously, when The Wiz was made into a full length feature film by Motown Records' film division and Universal Pictures, Diana Ross played the role of Dorothy instead of Mills. The film ended up being a major flop. Singer Jermaine Jackson referred Mills to Motown head Berry Gordy, who signed her to the label. Her Motown debut was For the First Time, written and produced by Burt Bacharach and Hal David, being issued in October 1976. For the First Time is a sweet affair with Mills convincingly covering Bacharach/David standards, most of which were originally recorded by Dionne Warwick. In 1978, she signed to 20th Century Records and was teamed with the hit production duo of James Mtume ? later leader of Mtume, who had a gold single with "Juicy Fruit" ? and Reggie Lucas. Her first LP for the label, Whatcha Gonna Do With My Lovin', went gold, going to number 12 R&B and number 22 pop on Billboard's charts in summer 1979 and spawned the singles, "Whatcha Gonna Do With My Lovin'" and "You Can Get Over." Her next LP, Sweet Sensation (#3 R&B, #16 Pop, spring 1980) yielded "Sweet Sensation," "Never Knew Love Like This Before," and the radio-aired LP track, "Try My Love." Around this time, she briefly married former Soul Train dancer Jeffrey Daniels of the group Shalamar. Next came the LP titled Stephanie in spring 1981, which also was a huge hit, peaking at #3 R&B and #30 Pop. The album included notable songs such as "Two Hearts" ? a midtempo duet with Teddy Pendergrass ? "Night Games" and the radio-aired LP cut, "Don't Stop Doin' What Cha Do." In 1981, Mills switched to Neil Bogart's Casablanca Records. Her LPs for the label included Tantalizingly Hot, Merciless and I've Got The Cure. During 1983, she had her own NBC-TV daytime talk show and reprised on role in a Broadway revival of The Wiz. 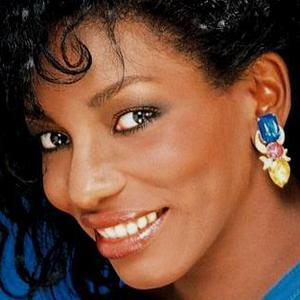 She also signed with MCA Records, where she released her Stephanie Mills album. The first single from the Stephanie Mills album was "Stand Back," in late 1985, which also included the passionate ballad "I Have Learned To Respect The Power Of Love." "I Have Learned To Respect The Power Of Love" was initially written by Rene Moore and Angela Winbush ? best known as the hit singing duo Rene & Angela ? as a gospel song and originally was recorded by Alton McClain and Destiny on their self-titled 1978 Polydor LP. The original version is available on Polygram's Power of Love: Best of Soul Essentials Ballads. Because of its massive radio play as an album track, Mills' version of "I Have Learned To Respect The Power Of Love, ? produced by Philly Soul keyboardist Ron Kersey ? was reissued as an A side holding the #1 R&B spot for two weeks in spring 1986. Its follow-up, "Rising Desire" reached #11 R&B in summer 1986. Her next LP's title cut was the Clay McMurray/Gloria Jones/Pam Sawyer song, "If I Were Your Woman," originally a 1971 #1 R&B, #9 Pop smash for Gladys Knight and the Pips. Philly-based producer Nick Martinelli gave Mills her second #1 R&B hit with "I Feel Good All Over," written by husband and wife songwriting duo, Gabriel Hardeman and Annette Hardeman. The song held the #1 R&B spot for three weeks in spring 1987. Originally submitted to Mills' fellow MCA labelmate Patti Labelle by the Hardemans, the track was included on Mills' LP If I Were Your Woman, issued June 1987 and peaked at #30 Pop in summer 1987. Paul Laurence produced and co-wrote with Timmy Allen the chugging '"(You're Putting) a Rush On Me" giving the singer her third #1 R&B hit in fall 1987. The single made it to #85 Pop and was followed by "Secret Lady," which landed at #7 R&B in late 1987. Her covers of "If I Were Your Woman" and "Where Is The Love" followed. All were included on her If I Were Your Woman album, which peaked at #1 R&B, #30 Pop in summer 1987. Following these hits, Mills contacted Ronald Isley about working with singer/songwriter/producer Angela Winbush who had hits as half of Rene and Angela and was forging a hit-filled career as a recording artist and producer for the group Body among others. The collaboration between Mills and Winbush resulted in another #1 R&B single, "Something In The Way You Make Me Feel," in summer 1989. Having starred for five years in the smash Broadway show The Wiz and recorded the song "Home for the play's 1975 original cast soundtrack album, she wanted to record the song again as a posthumous tribute to the play's producer, Ken Harper, and the song's composer, Charlie Smalls. On her new version of "Home," Take 6 sung the background vocals. The song went to #1 R&B in late 1989 and was followed by "Comfort Of A Man" and "Real Love." The Home LP ended up peaking at #5 R&B, #82 Pop in summer 1989. She then recorded a charting single with J.T. Taylor titled "Heart To Heart" in late 1991. Her final MCA album, Something Real included the hit "All Day All Night" and "Never Do Wrong." Following this album, she recorded a gospel album, Personal Inspirations, for Interscope Records and recorded several tracks at Philadelphia International Records with Bunny Sigler among others in the late '90s. After a hiatus from recording Mills returned with sixteenth album, "Born For This" in 2004. It includes the singles "Can't Let Him Go" and "Healing Time." Mills is currently working on her seventeenth album titled "Breathless." The lead single chosen is a song called, "Yesterday."